TERRE HAUTE, Ind. 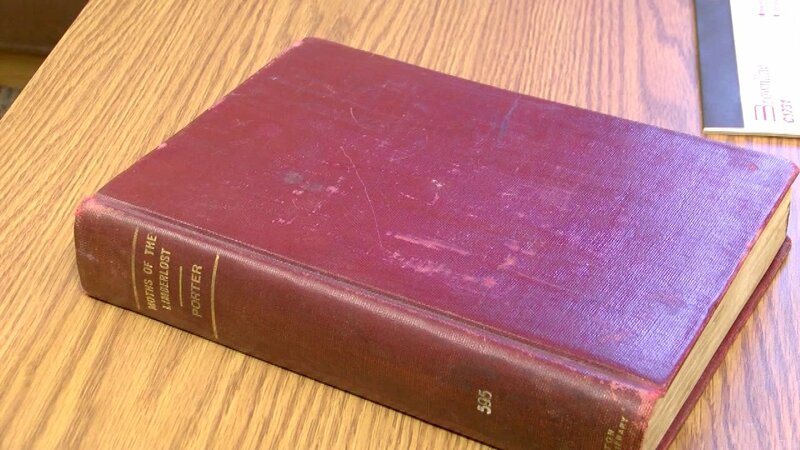 -- Forgetting to take a library book back a few days after its due date is nothing new, but a college professor in Indiana finally decided to return a book he checked out 60 years ago. Larry Murdock was 8-years old when he checked out "The Moths of the Limber-Lost" from a library in Terre Haute, Ind. Now 68, he decided the right thing to do would be to return the book and pay the $436 fine. "It was the right thing to do, and it occurred to me maybe after all those years there are kids out there who might get some benefit from it," Murdock said. His love for the book launched a career, and he eventually became Purdue University's distinguished professor of entomology. "I realized that this is exactly what I love," Murdock said. "Insects and especially moths." The library put the money to good use by buying new computers for its children's section.